Atelier Ten worked with Foster + Partners to develop a 20-year sustainable vision for Cleveland Clinic, which aims to increase its commitment to environmental stewardship, both on its own campus and in the surrounding community. Keeping with the clinic’s goal to enhance wellness and minimize adverse environmental impact, Atelier Ten tested and recommended strategies to reduce energy, water and materials consumption, while providing healthy and pleasant spaces for patients, staff and visitors. For this planned state-of-the-art development, the masterplan design creates a hierarchy for deployment of various systems such as renewable energy, stormwater management zones, amenity spaces, and vegetated open space. The campus aims to inspire and lead by example, developing high performance energy efficient buildings, a stormwater management system, and health-related programs that give back to the greater Cleveland community. 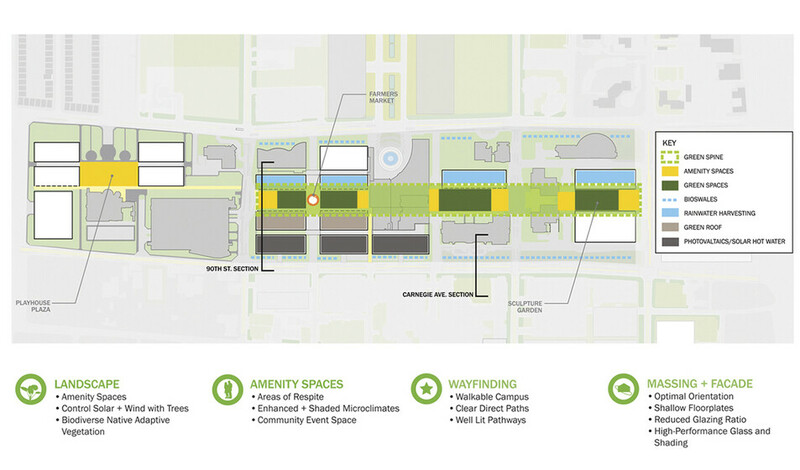 A central corridor creates an easily navigable campus that prioritizes pedestrian accessibility and way-finding by integrating amenities and properly lit pathways. 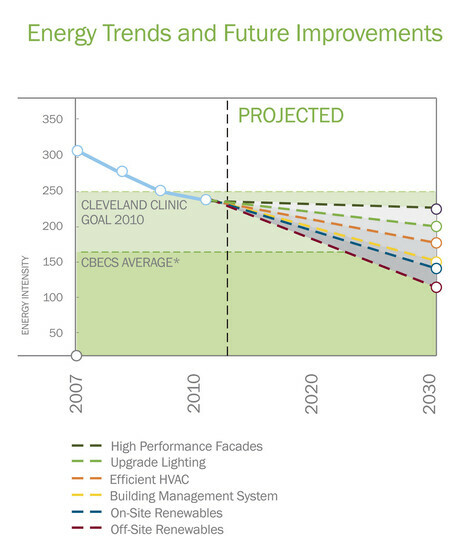 Program areas will be prioritized to give patients views to nature and exterior landscape will control solar gains and block cold winter winds near buildings. New and existing buildings will utilize efficient water fixtures while roof and landscape features will manage stormwater.